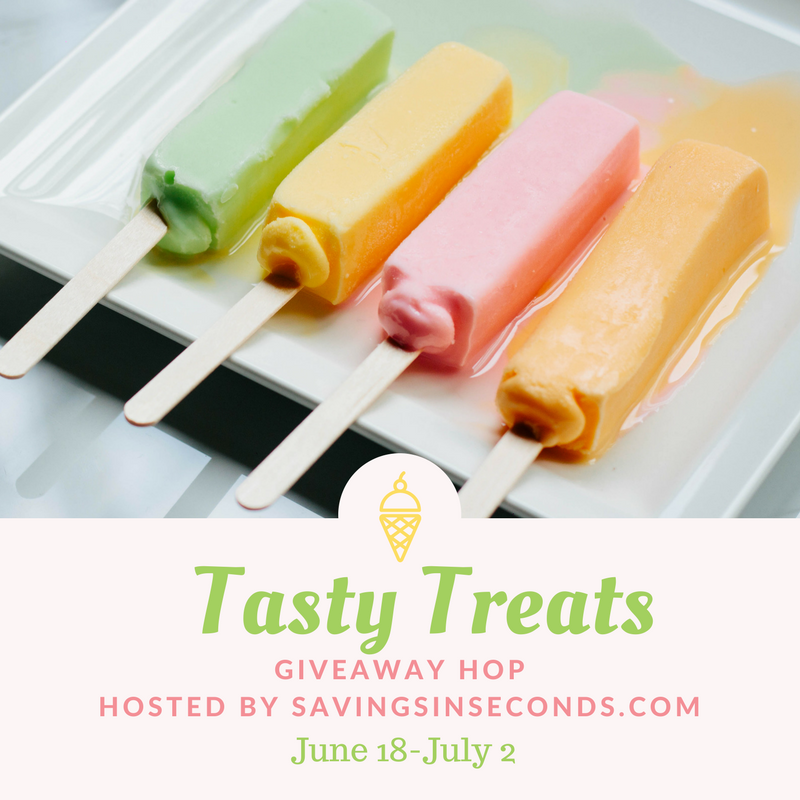 Thanks for stopping at my Tasty Treats giveaway! This event is hosted by Savings in Seconds and runs through July 2, 2017. Please hop to all of the linked blogs for more chances to win! ***Product received for consideration, all thoughts are 100% my own. When we think of seasons and food, we so often think about the fall/winter. Make sense, right? We have all of these holidays that focus around family meals- Thanksgiving, Christmas... even New Years has it's own traditional meal too! But, if you think about it... summer is a season of food too! It's just the foods are a little different. We trade our cinnamon baked goodness in for ice cream trucks or homemade ice cream. We trade in hot cocoa for fresh squeezed lemonade. And we trade in those big ham and/or turkey dinners for BBQ. Awww, yes... nothing says an all American summer quite like a good ol' fashioned BBQ. Two words that might not come to mind when you think of BBQ? But thanks to ReadyPac, that can change! Inspired by backyard summer BBQ, this deliciously flavorful salad features fire-roasted corn, smoky poblano peppers and tender, seasoned pulled pork on top of a crisp chopped blend of romaine and iceberg lettuces. 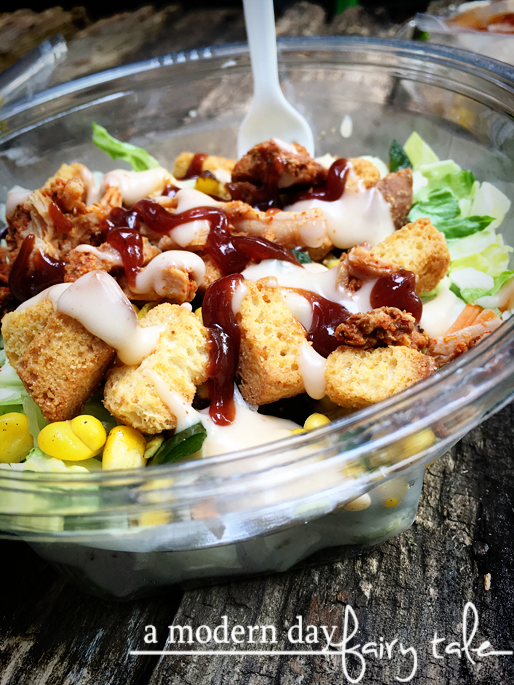 Topped with a creamy chili lime dressing, cheese cornbread croutons and a BBQ sauce drizzle, this satisfying salad adds variety and flavor to any summer menu. The new salad will only be available through mid-September 2017 so don’t miss it! Sounds amazing, right? It certainly did to my pork loving boys, so we had to put it to the test! The verdict? They LOVED it. The flavors were just those fun summer flavors that they loved, but in a much more convenient package! We didn't have to stand over a hot grill in the summer heat, we didn't have to wait for it to cook through-- open, mix and done! Let's be honest, summer is also a busy month, and sometimes its go, go, go... we don't have time to prepare those healthy meals every single night. As a mom, I loved that these were easy to grab and hand to the kids (so long as you have salad loving kids like myself) that I can feel better than a typical convenience meal. This is also a busy time of year for my husband- he works in a motorcycle and jeep shop and well... summer business is booming! There are many nights that he doesn't get home until 10 PM or later, so these again are a great option to have on hand for him when he gets home--- or to send to work with him! Need a meal you can grab and go? Head to your local grocery to try the new Ready Pac Limited Edition Roasted Corn and Pulled Pork Bistro Bowl®, and check out the links below to find more great flavors from Ready Pac! I love it! A perfect all-in-one meal. Looks like a very filling lunch! I know my husband and I will enjoy it but I think my teen might too! These are perfect for lunches. 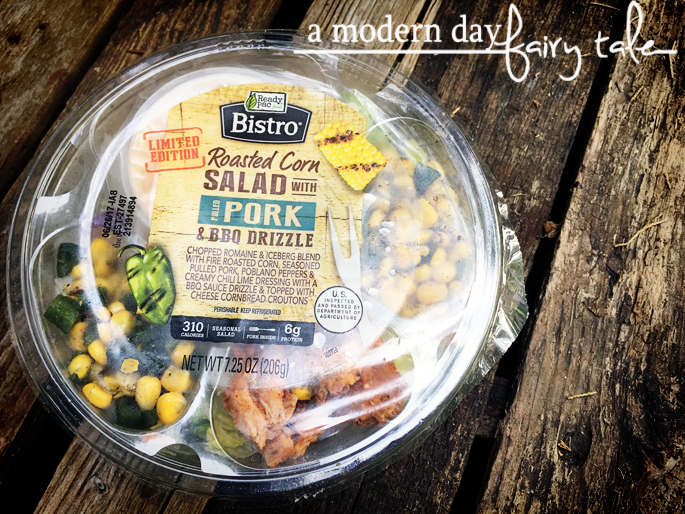 These Ready Pac roasted corn salad & pulled pork bistro bowls look delicious and perfect during the hot summer months. An easy meal to carry to work for a healthy lunch, an even better change up for dinner when it's too hot to cook. A great win-win no matter what! 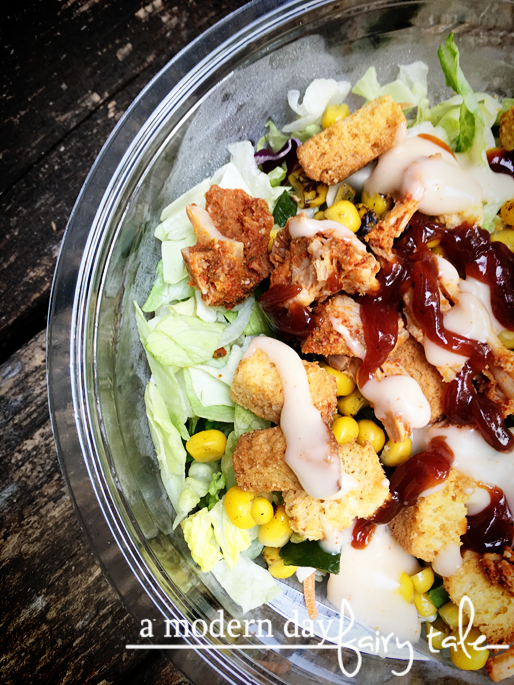 Put BBQ on top and you've got a salad I will eat. These look so yummy. Thank you for this chance! this is a great prize. I wish there were more like this one. 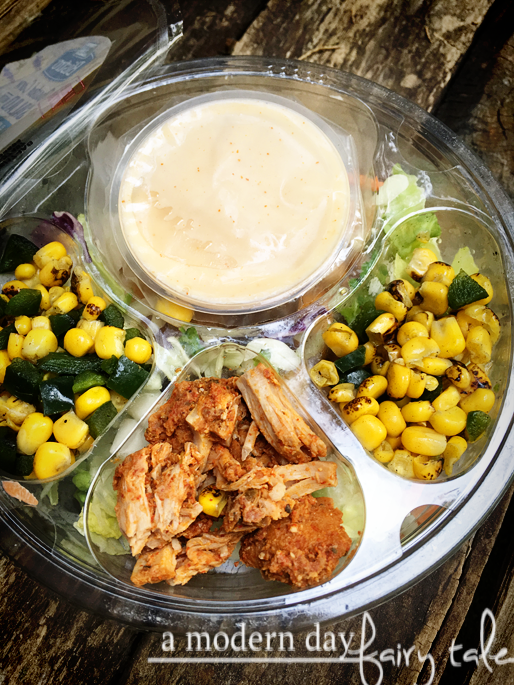 We love salads, especially when they have chicken and corn in them. Mu hubby and my 11 year old take them for lunches and I eat them at home even for a snack. These would be great for my daughter to take to work. These would be great to take to work for lunch. These look like the perfect "on the run" meals! Light, yet filling, and good for you as well! This looks like a great option for lunch or even dinner. Omg, I want to try! I would love to give this a try. Thank you for sharing. I love ready pac salads for quick and easy lunches. I've never seen this flavor though and would love to try it! I really enjoy healthy convenience foods. I love quick and easy good meals. This looks like a very yummy Ready Pac salad bowl I'll be on lookout for this flavor when it's available in my area. These would be great for a quick lunch or dinner. This looks really good! Great for a meal on the go!